The personal names of Hausa-speaking Northern Nigerian Christians also have an onomastic uniqueness that is worth exploring. I use “Hausa-speaking Northern Nigerian Christians” here rather loosely to refer to a miscellany of ethnic groups primarily in Nigeria’s northwest and northeast who are nonetheless united by Christianity and the Hausa language. This geo-cultural group, for the most part, excludes northern states like Benue, Kogi, Kwara, and maybe Niger, where most Christians historically bear conventional Western Christian names, but might include Plateau and Nasarawa states. My preliminary thoughts on Hausa-speaking Northern Christian names are that their names can be divided into four broad categories. The first category consists of names that appear to be Muslim names on the surface but that are actually Arabic renderings (by way of the Hausa language) of Christian names. For instance, Jacob is written as Yakubu (Ya’qub in Arabic) in the Hausa Bible, as I'll show shortly. So Hausa-speaking Christians, especially from older generations, are baptized as Yakubu instead of Jacob. When House of Representatives Speaker Yakubu Dogara first emerged on the national scene, to give just one example, many people, including journalists, mistook him for a Muslim because the name Yakubu is typically associated with (northern) Muslims. But he is a Christian who sees himself as bearing a name from the Hausa Bible, although he is not ethnically Hausa. Other names in this category are Musa (Moses), Ishaku (Isaac), Ibrahim (Abraham), Yusuf (Joseph), Adamu (Adam), Ayuba (Job), Dauda (David), Haruna (Aaron), Suleiman (Solomon), etc. Many Hausa-speaking northern Christians told me they bear these forms of Christian names because it’s how they are written in the Hausa Bible. Obviously, the names are Hausaized from Arabic where Ishaku is Ishaq, Adamu is Adam, Ayuba is Ayyub, Dauda is Da’ud, Haruna is Harun, etc. The second category is the one that piques my curiosity the most, and it encompasses musical but infrequent names like Istifanus, Yunana, Yohanna, Bitrus, Bulus, etc. When I first encountered these names in the 1990s as an undergraduate at Bayero University Kano, I was curious what they meant and where they came from. I made the acquaintance of a genial, mild-mannered Kano Christian by the name of Bulus Karaye who gave me some cultural education on the names. He made me realize that these “unusual” northern Christian names are actually more faithful to the original Hebrew names than the Westernized versions of the names we’re familiar with in Nigeria, as I will show shortly. The third category of Hausa Christian names falls in the mold of what I like to call protective onomastic mimicry, by which I mean bearing (Muslim) names to blend in with the dominant Muslim environment. While this is sometimes deliberate, it is at other times situational, such as when a Muslim neighbor chooses a name for the child of a Christian neighbor. This was common when relations between Muslims and Christians weren’t as conflictual as they are now. That is why you find northern Christians bearing exclusively Muslim names like Mohammed, Kabiru, Umaru, Usman, etc., that have no equivalents in the Bible. The final category consists of conventional Western Christian names, which need no elucidation. 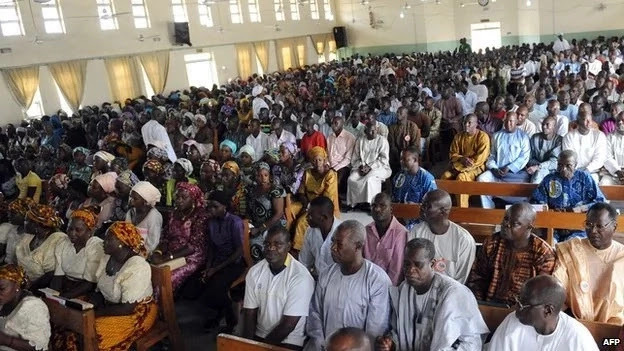 It seems to me that in their bid to blend in with their southern and north-central co-religionists, Hausa-speaking northern Christians are increasingly embracing this category of names. I may be entirely wrong. 1. Istifanus: This is the Hausa Christian name for Stephen (or Steven). It’s known as Stiven in Hebrew, as “Stefanos” in Greek, and as Istifanus among Arab Christians. Since Hausa and Arabic are members of the same Afro-Asiatic language family, it makes sense that Hausa speakers who want to indigenize a Western name would prefer its Arabic rendering. This seems to be the principle throughout. 2. Ishaya; Perhaps the most popular Ishayas in Nigeria are the late Professor Ishaya Audu and former Chief of Army Staff Lt. Gen. Ishaya Bamaiyi. This name is the Hausa Christian domestication of Isaiah. Because Isaiah isn’t specifically mentioned in the Qur’an, there is no Muslim equivalent for the name, but Arab Christians know the name as Asa’ya, and that is what Hausa Christians try to approximate in Ishaya. 4. Bitrus: Like Bulus, Bitrus emerged as a consequence of the absence of the “p” consonant in Arabic, from where Hausa Christians derived it. It is the Hausa Christian name for Peter. The name is given as Petros in Hebrew. Arabs domesticated it as Boutros, and Hausa Christians further domesticated it to Bitrus. Most people who came of age in the 1990s would be familiar with the late Boutros Boutros-Ghali, the Egyptian (Coptic) Christian who became UN Secretary General from January 1992 to December 1996. 5. Filibus: This name is derived from the Arabic Felib, the name Arab Christians use in place of Philip. As pointed out earlier, the appearance of the terminal “b” in the name is the result of the absence of the “p” sound in Arabic. 6. Irmiya: This is the Hausa Christian name for the Anglicized Jeremiah, which is rendered as Yirmeyahu in Hebrew and Irmiya in Arabic. 7. Habila: Derived from the Arabic Habil, this is the Hausa Christian version of Abel. 8. Yohanna: Most Nigerians who have an active interest in (military) politics are familiar with the late Colonel Yohanna Madaki. Yohanna is the Hausa Christian name for John. The name’s original form in Hebrew is Yohanan. It then changed form in Greek to Iohannes. In French, it became Johan and came to English in that form. Over time, however, the “a” deteriorated and John emerged. So the Hausa Christian Yohanna is actually closer to the original than the English John. Interestingly, although John (or Yohanan) is mentioned in the Qur’an as Yahya, Arab Christians render it as Yuḥanna in their Bible, which is close to the Hausa Christian Yohanna. 9. 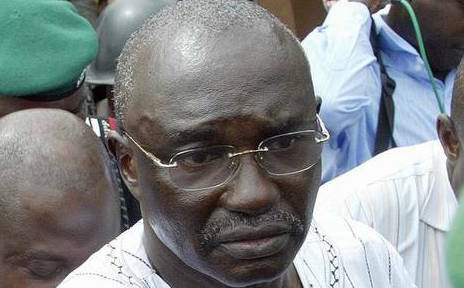 Yunana: I had a colleague at the Daily Trust by the name of Yunana who was from Taraba State. He died a few years ago. I used to think his name was a Kuteb name. (The Kuteb are a major ethnic group in Taraba who share close linguistic and historical kinship with the Jukun). It was from him I first learned that Yunana is the Hausa Christian equivalent of Jonah. The name is known as Yunus (Yunusa in many African Muslim communities) in the Qur’an, but Arab Christians render it as Yunan in their Bible. Hausa-speaking Christians formed Yunana from the Arabic Yunan by adding a terminal vowel to it—like most African languages do when they borrow words that end with consonants. 10. Yakubu: This name is synonymous with both James and Jacob, which are essentially the same name. James emerged as the Latin corruption of the Hebrew “Ya’aqob.” Spoken Latin, known as Vulgar Latin, first corrupted it to Iacomus from where it evolved to James. Not being a Christian, I recognize that this is a risky column to write. But my motivations are purely scholarly. In writing this, I consulted northern Christian scholars and religious leaders to verify my findings and to seek clarity on other issues. Of course, I expect that there will still be a few omissions or misrepresentations. My hope is that people who have intimate knowledge of Hausa Christian names will write to expound, clarify, or even dispute what I’ve written. But this column isn’t simply linguistic. It’s also intended to contribute to more cordial inter-religious and inter-ethnic understanding in the Nigerian polity. I have discovered, for instance, that many southern Christians have no idea that the quintessentially Hausa Christian names I’ve identified above are actually Christian names that are, in fact, closer to the original than the Anglicized versions of the names they bear. Similarly, many Muslims (both in the North and in the South) have no awareness of the etymological affinities between these distinctive Hausa Christian names and the Arabic language. 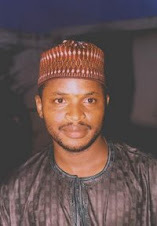 What is more, many Muslims think when northern Christians bear names like Yakubu, Musa, etc. they are merely mimicking Muslim names when, in fact, they are bearing names from their Hausa Bible, which is heavily influenced by Arabic, as I’ve shown. If this column causes the reader to develop a heightened awareness of the importance of names, especially Hausa Christian names, it would have achieved its purpose.